University of Engineering and Technology, Lahore 41st UET Annual Athletics Championship 2019 conducted in the UET, Lahore Campus from 09th to 11th April 2019. 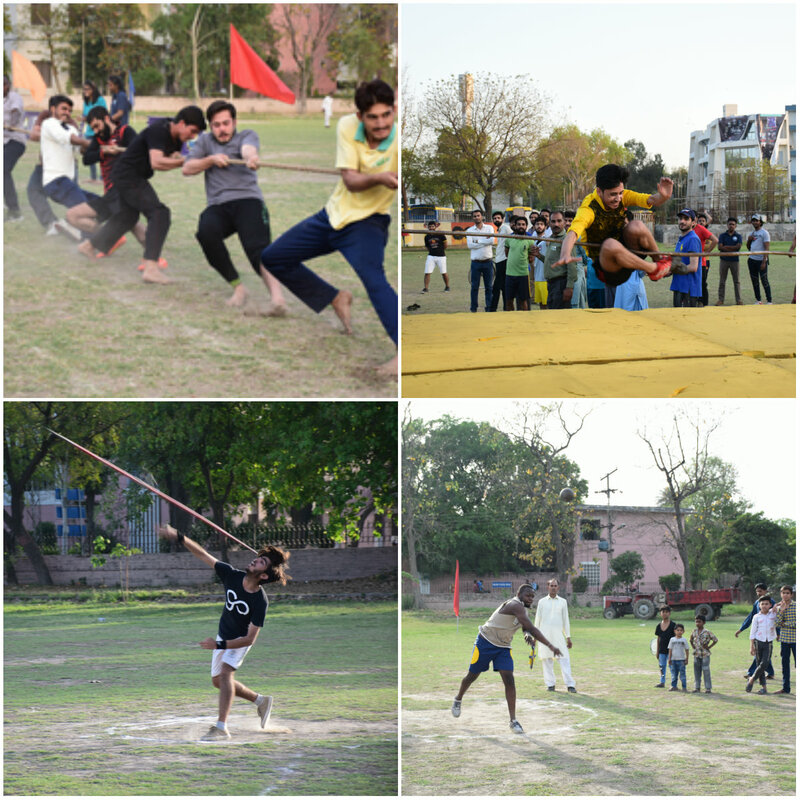 During 3 days of Annual Athletics day, Championship were held for different athletics event such as (Track Events: - 100 m, 200 m, 400 m, 800 m, 1500 m, 5000 m and 4x100 m Raley Race), (Gymkhana Events: - Sack, Slow Cycling, Wheel Barrow, Musical Chair, 100 m Employees and three Legged Race), (Throw Events: - Discus, Hammer, Shot Put and Javelin Throw) and (Jump Events: - Hop Step and Jump, High Jump and Long Jump). Mr. Banaras Khan (2017-EE-38) Electrical Engineering Department declared the 1st Best Athlete of the University and worthy Vice-Chancellor awarded him Rs. 10000/- cash + trophy, Mr. S.M.K.P.S Bandara (2015-MC-44) Mechatronics & Control Engineering Department remained the 2nd Best Athlete awarded him Rs. 7000/- cash + trophy. Faculty of Electrical Engineering won the General Trophy and Fauclty of Mechanical Engineering remained Runner up. 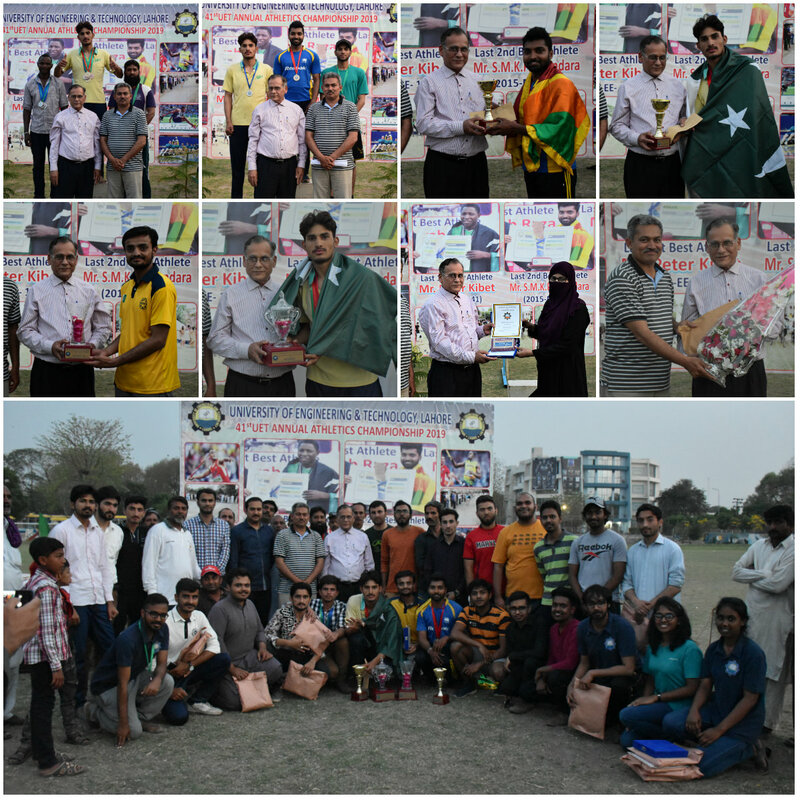 On the concluding day, the Worthy Vice-Chancellor Prof. Dr. Aziz Akbar distributed University Colours to the best Sportsmen in their respective discipline and prizes among the winners and runners up athletes. He congratulated the winners and appreciated the efforts of Sports Department.